This directory does not exists for WebLogic 12c. You can download the plugins seperately from here. 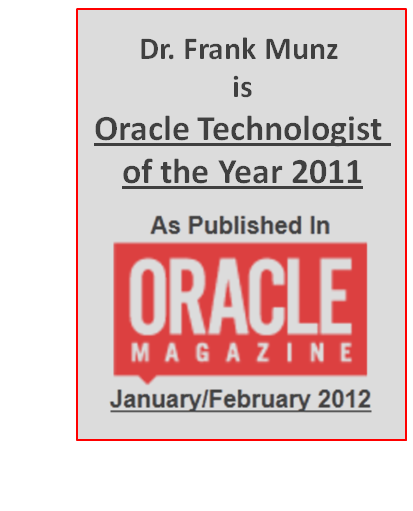 Yet there is no version for WebLogic 12c either. You must not simply use an lower plugin version (e.g. the one that comes with WebLogic 11g) because lower versions of the plugin e.g. 10.3.5 are not guaranteed to work (only higher versions). Now, this is between you me: yes they do work typically. Yet I remember at least one situation when I spent over a day debugging an issue because an older plugin version was used. I am pretty sure you can imagine serveral way to spend your time better. The behavior for the Apache mod_wl 10.x plugins is known to be rather strange after a a managed server drops out of the dynamic server list (clustered or not). I briefly checked the 10.3.5 plugin for Apache 2.2 with a WebLogic 12c cluster and it seems to work okay so far. Actually even the glitch with the failing load balancing after a server drops out of a cluster has improved. Probably that’s the best solution currently, but remember it’s at your own risk. Follow up with my OTN thread and some valuable input from René and Sandeep. For a more critical production environment I recommend to open a support ticket with Oracle. If you do so, please post an update here and share your findings. 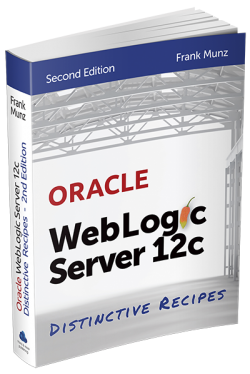 So how are you using WebLogic 12 in production? If you do, how is your clustering set up? Thanks to input from my friend Rene I am aware now that Oracle officially recommends to use the latest 10.3.x plugin even for WebLogic 12c. Still it is causing a lot of confusion and the WLS 12.1.1 documentation is wrongly stating that the plugin is part of the WebLogic distribution. 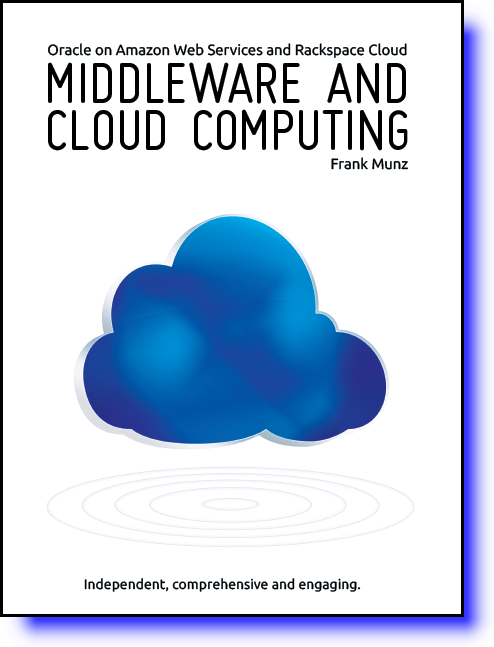 If you are interested in Middleware and Cloud Computing subscribe to my my newsletter and win one of the first two copies of my brand new cloud computing book. The drawing will be Dec. 15th 2010. There are only 4 mailings per year and you can unsubscribe any time from the newsletter. WebLogic Whole-Server Migration on EC2 Cloud? WebLogic whole-server migration is a compelling solution for the availability of servers and pinned resources such as JMS on those servers. It simply moves the IP address to the new candidate machine before starting the managed server there. From the perspective of the managed server there is no change at all, since even the IP address is the same. The crucial point however is the availability of floating IP addresses that can be automatically reassigned by the wlsifconfig.sh script. On EC2 there are only two IP addresses per instance, a public and a private one. You cannot get additional IP addresses, so whole-server migration isn’t of much use. In fact, you could get an elastic IP address, which is a reassignable, static IP address assigned to an EC instance. Still an elastic IP is not useful for server-migration because assignment of the address requires the EC2 command-line and cannot be done directly from the cluster script using ifconfig. 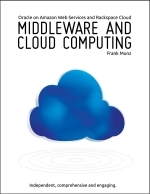 This text is a digest of my upcoming book about cloud computing with Oracle. A WebLogic server cluster used to use IP multicast (MC) for cluster heartbeats and global JNDI updates. Today there is another option with Unicast. Still large cluster deployments benefit from multicast. Often using MC is problematic, there is a whole list of possible problems with Windows, routers and firewalls swallow the MC packets (by design, unless you configure them otherwise) and on Unix it could be disabled for the NIC. Apart from WLS clustering it is used by products such as TIBCO EMS for failover. I had an excellent discussion with the support team of RackspaceCloud about using IP multicast. “There is no obvious reason why it shouldn’t work“, they told me, but at the end there was some doubt left. Since I know AWS doesn’t support MC on EC2 I decided to give it a try. Launch two instance in RSC. Should take some 3 minutes. 1 went for a 1GB Win2008 because I wanted to check for poetential Win problems. Note: Currently you cannot create an image from a Windows server, that’s why I started two images from the very beginning, otherwise it makes more sense to prepare one and then clone it. I downloaded Mozilla FireFox because InternetExplorer drives my crazy with all its security fuss when doing a simple proof of concept. I turned off the Win firewall just in case. I don’t wanted the firewall to block the MC packets. I shared my WebLogic installation directory and copied it over. Yes, you can do that in the RS cloud and at least for a POC it saves a lot of time. If MC was working correctly you’d expect to see your own messages as well as the messages from the remote side, but we just seeing the local ones. Note: Oracle states MC is not working for AWS either and the preferred solution is Unicast (which is acceptable IMHO).